A popular appetizer/light meal, this salad is made with apples, grapes, walnuts in a mayonnaise dressing and served on a bed of lettuce. 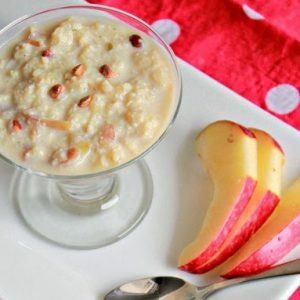 Mix the apples, celery and mayonnaise in a bowl. Place the lettuce leaves on a serving bowl or plate. Place the salad on top of the lettuce. 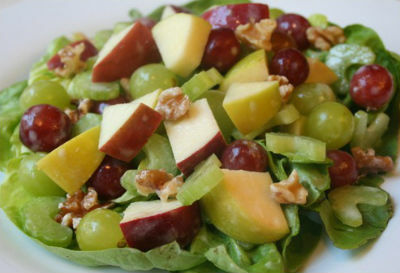 Feel free to comment or share your thoughts on this Waldorf Salad Recipe from Awesome Cuisine.